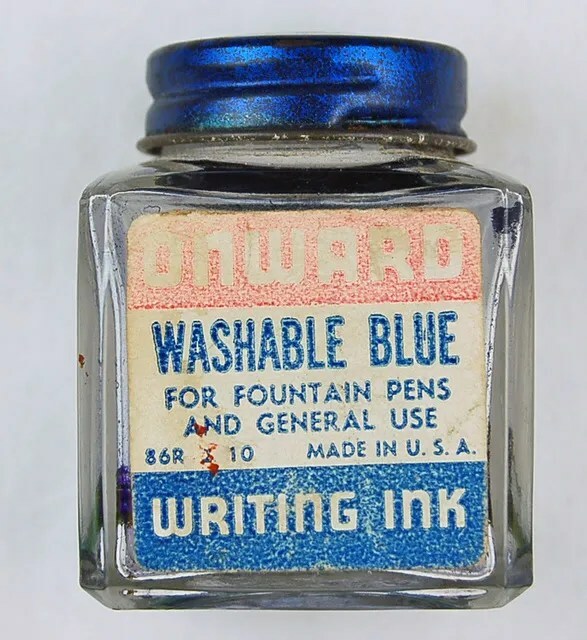 The most important internal part of a fountain pen is the ink. In pen restoration it is the restorers worst enemy. When these implements were finally set aside in a drawer, storage box, or old desk, they often had ink still inside. This caused all kinds of problems which need to be rectified upon repair. Some of these problems can be reversed, and some not. 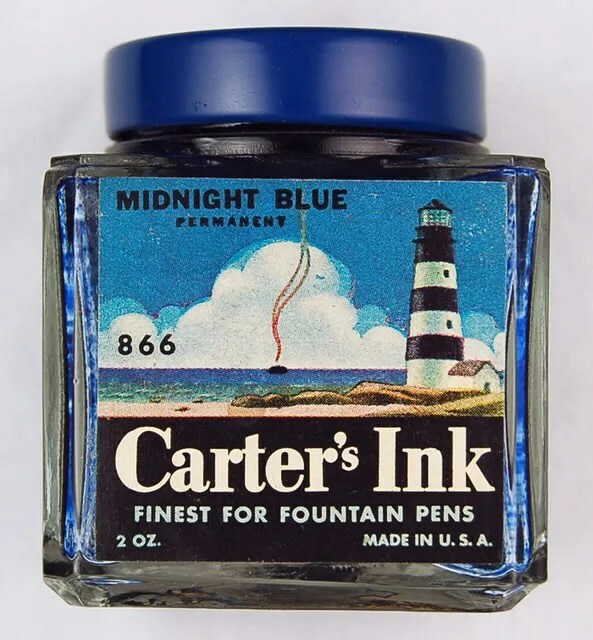 As discussed in previous posts, hardened ink can contribute to parts becoming stuck (section to barrel, hardened sac to barrel or sac protector etc..). It also causes staining to sections, feeds, nibs, caps and barrels. Much of this can be cleaned with water/polish and heat, or soaking can take care of adhesion. The worst damage ink does is the irreversible staining to rubber and plastic caps and barrels. 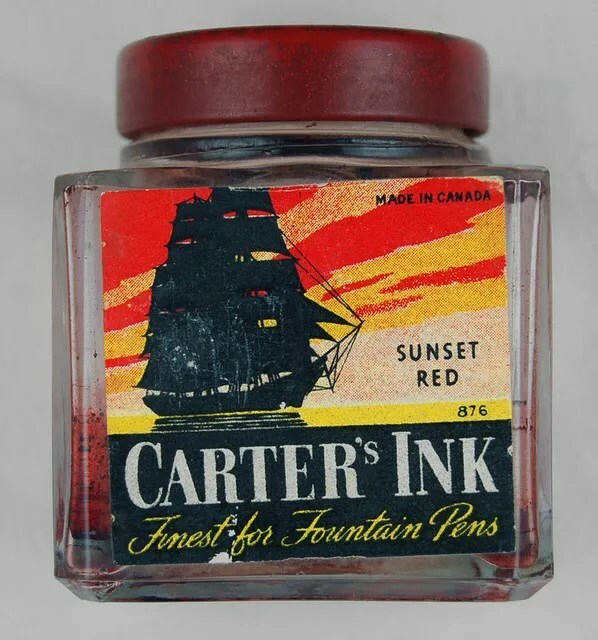 With this in mind, I thought it would be fun to show a few vintage ink bottles that I have acquired over the years. I have concentrated on more recent production of the mid 1900s. 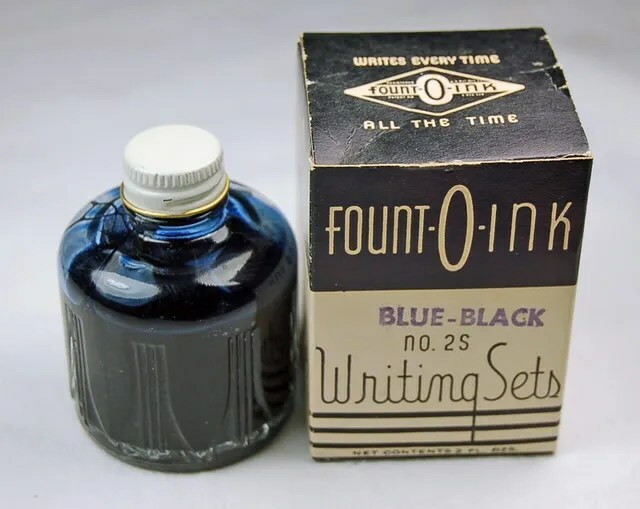 Inkwell and ink bottle collection prior to this time is a very active hobby as well. 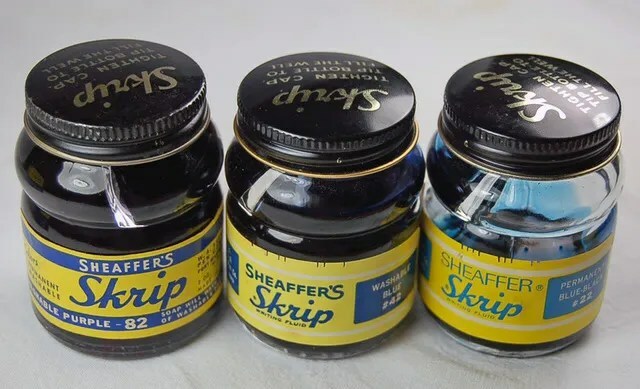 As with pens, many of these companies have disappeared over the years, but there are a few familiar names that have survived. 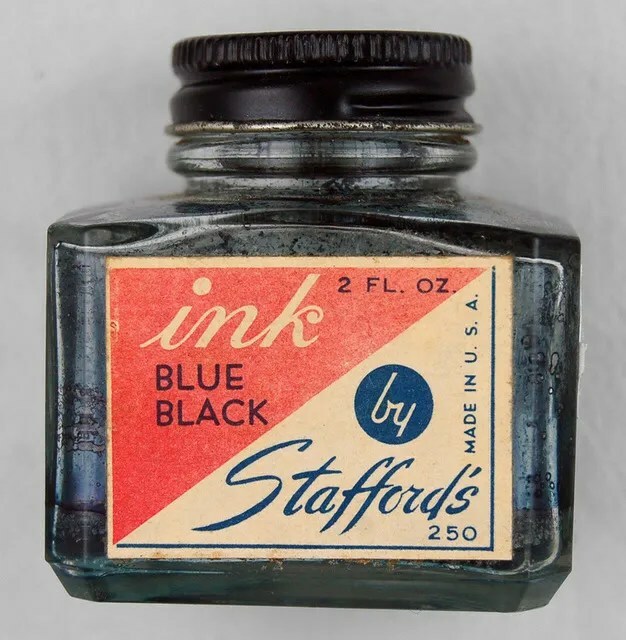 The bottles and the stories of Ink Companies make for interesting historical research. 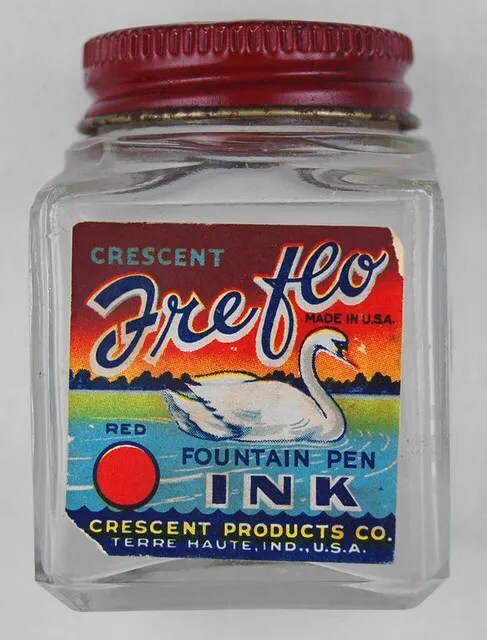 When hunting for fountain pens in antique shops we often come up empty, but often the disappointment can be softened by the discovery of one of these colorful ink bottles.